Today marks the beginning of the best day ever – it’s Chocolate Peanut Butter Day! 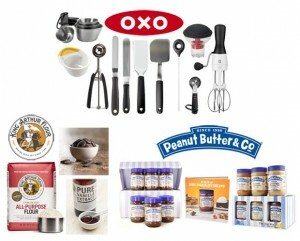 Hosted by Carla of Chocolate Moosey and Miriam of Overtime Cook, 31 bloggers are sharing favorite chocolate peanut butter recipes, ranging from cookies and bars to scones and muffins. Follow the hashtag #chocPBday on social media and join us with your favorite chocolate and peanut butter recipes. 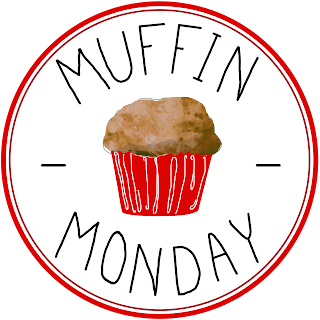 Looking for recipes all in one place? 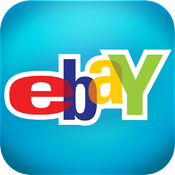 Follow our Pinterest board. 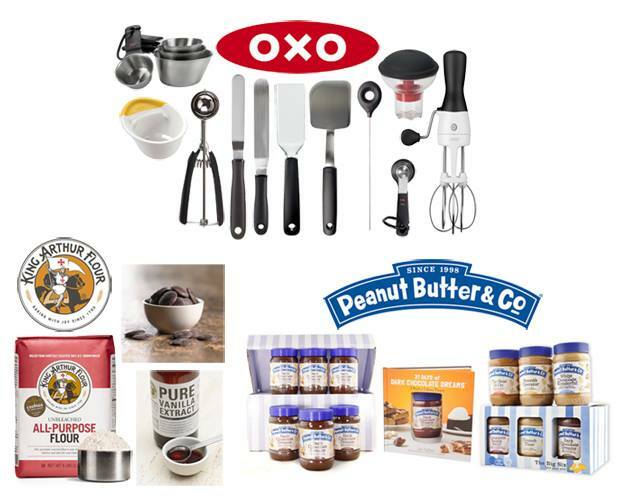 We are teaming up with OXO, King Arthur Flour, and Peanut Butter & Co. to bring you three fabulous prize packs. If you love to bake, you don’t want to miss entering. There are some incredible prizes and I want the winners to all be my friends who join me at Kelli’s Kitchen! So get out there and enter! Directions are below this recipe. 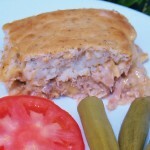 I had never heard of a recipe for peanut butter pudding but I have always wanted some – when I was a kid there was some kind of mix that made pudding in the bottom and a fudgy peanut butter topping – I wish I could remember the name, there were several kinds – do any of you know what I am talking about? 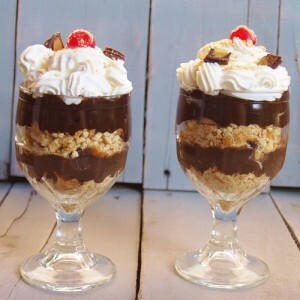 Anyway, when I asked to join in on #chocPBday, I thought it was the perfect time to create chocolate peanut butter pudding…………..and I did it! It took 4 tries but I’m telling you this pudding is life changing. It’s also dress-size changing because I could have eaten the entire pot of pudding myself. Putting it in a trifle is the only way to keep from eating it all. I’m serious, you must try it because if you like chocolate and peanut butter together you will want to make this over and over again. 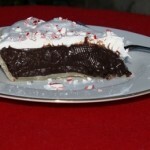 I began with my Nana’s chocolate pie recipe and tweeked it. In a bowl whisk together the cocoa and flour and set aside. In a separate bowl mix together milk, eggs, sugar, and vanilla. Pour the wet mixture into pot or double boiler. Put pats of butter or dollops of margarine around mixture where it will melt while cooking. Turn burner on Medium whisking constantly and bring to a boil. Whisk in the flour and cocoa and continue stirring constantly for about 10 minutes until it thickens. Even thought the pudding is not as thick as you would expect pudding to be, you are going to add the cup of peanut butter now and stir until blended. Take the pot off the stove and cool completely – it will be thick enough now! If you can keep your hands off of it long enough – make some more chocolate pudding leaving out the peanut butter and substituting regular cocoa powder for the dark chocolate cocoa powder and allow to cool as well. 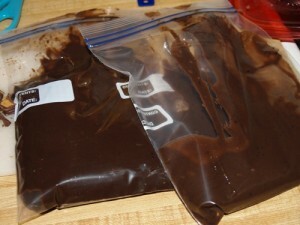 Now you have 2 batches of pudding: One dark chocolate peanut butter and one regular chocolate pudding. Sprinkle some cookie crumbs in the bottom of the bowl. Snip off the corner of one of the bags and pipe it into the glass covering the cookie crumbs. Sprinkle some of the miniature candy pieces ontop of pudding and add more cookie crumbs. Snip off the corner of the other bag and pipe into the glass. Using a cold bowl and beaters whip heavy cream until foamy then add in vanilla and powdered sugar. Beat until right before stiff peaks form. Turn off mixer. Carefully put whipped cream into another Ziploc bag and using any tip you want, pipe onto top of trifle. Top with a cherry and some candy if you like – or even nuts! I love this trifle and I could have it every single night for a month!! It is all homemade so I think that means it’s GOOD for you! And now for the giveaway! YIPPEE! Be sure to go check out everyone’s decadent Chocolate and Peanut Butter dishes!! Gosh, Kelli, this trifle looks yummy! The list of peanut butter/chocolate goodies from your blogger friends is just too good! How on earth will I ever choose what to make first? Thanks for the yummy recipe and for all you do to keep my mouth salivating and my tummy looking forward to another luscious treat. I love how you’ve put the trifle in individual serving glasses — very classy looking! Thanks Debbie – I promise I only did it because I would have eaten the entire bowl otherwise! Yes, us ladies have to watch our girly fig’gers! This looks like something I would beg my parents for when I was a kid when we would visit a place called Friendly’s for dessert! Yummm! I’ll check out the other recipes, but I think it will be hard to beat yours. 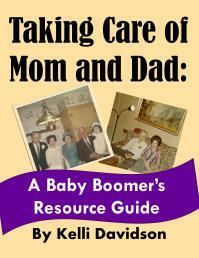 Thanks Lillian – it really IS good! Love me a good mini Reese’s cup! What a fantastic benefit of this event for you to create that pudding and now we can all enjoy it! Thank you for going through all those attempts to find the perfect one. My trifles never look so beautiful! These look great! Thank you so much Stacy! I loved doing the challenge! My favorite chocolate peanut butter combination is Peanut Butter Chocolate ice cream from Baskin Robbins. I’m on the hunt for a copycat recipe. I hope you find one! You should be able too……even if you have to go buy a gallon or two of it and work it out for yourself! Thank you! I Stumble as well – gotta’ get on that right now! lol, the “good for you” is certainly true for spirit 🙂 So so pretty. Love how you dolled them up on top. Thanks! I worked pretty hard on that! Kelli, your trifle looks like heaven in a goblet!!!! Gorgeous! Awww……thanks Liz! Always so sweet! ooooh yes this does sound and look lifechanging!!!! I loooove the pb and dark choc pudding!!! Thank you! I appreciate you dropping by! Trifles were a hit today. Love that everyone did them slightly different too. Me too! Thanks for dropping by! My family would LOVE these! Fantastic! Thank you so much! They were wonderful and I am going to end up making some more of that pudding tonight. 🙂 The boys love it! I like Little Debbie Nutty Bars. “It’s also dress-size changing because I could have eaten the entire pot of pudding myself” <– lol. This. Yes. I would probably make this and hoard it all myself so I can definitely see my dress size changing. 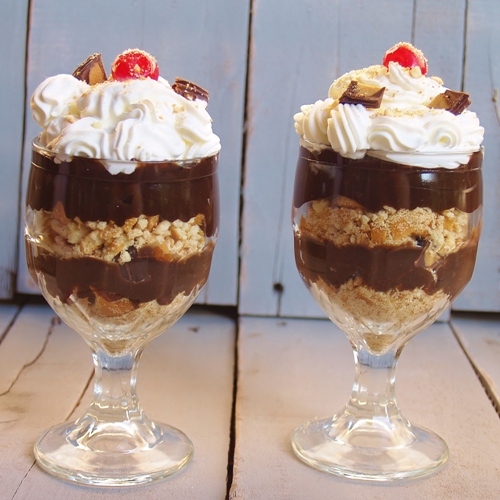 These trifles look so deliciously rich 'n creamy, Kelli! Thanks Nancy! I’m glad you liked it – this is fun isn’t it? Chocolate and Peanut butter are meant to be together. I love it! Your trifles look AMAZING. Thanks! Don’t forget to enter my lucky little friend! I’ll bring my extra big spoon for these! life changing chocolate peanut butter pudding?!!!!! oh my gawd, love this!! oh how I would love to sample each and every one of these desserts!!! yum! Aren’t they all the best!! I’ve had so much fun doing this – thanks for the comment! I’m finishing my comments tonight! SUUUURRRE it is………;) Thanks for dropping by and please come again! Wow, what a treat for Chocolate Peanut Butter Day! Thank you so much!! I had a blast – hope you did too! Dress-changing? 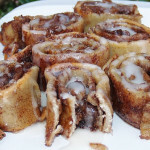 Maybe I need to avoid this deliciousness! Then again, maybe not. It sounds wonderful! Happy Chocolate Peanut Butter Day! Thank you so much! I had a blast and I hope you did too! 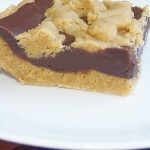 Oooooh, I think THIS is my favorite chocolate/peanut butter treat! It is so hard to pick, isn’t it??? Great tip about using the zip lock bags to fill the trifle cups. I’ve tried using a spoon before only to make a huge mess! Your trifle looks absolutely delicious!!! Ooh, I am always making stuff with chocolate and peanut butter. This sounds divine! Thank you! Also, thanks for dropping by and please come by again! Thank you so much – for dropping by and please come by again! Did you hear that? Those were my eyes popping out of their sockets. My word – Chocolate peanut butter pudding?! Genius! And your trifles look so pretty! Thank you so very much! I appreciate you coming by and please come back again! 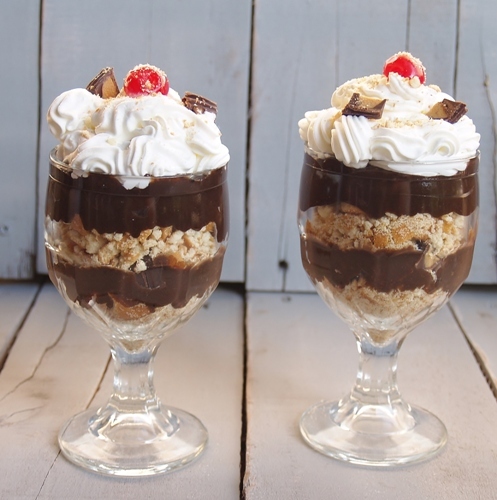 I love homemade pudding and your single serve trifle turn our so pretty! Wow! Would it be wrong to have it for breakfast? Thanks for stopping by Sarah! If it is wrong then I don’t want to be right! The recipe calls for 1-12oz can of Evap but do you use a whole can for each batch of pudding or do you use half a can for each? Just a little confusing whether you divide the ingredient list in half to make 2 batches of pudding or this is the list for one batch of pudding…? Hi P. Olsen – thank you for asking – yes, you use the entire 12 oz. 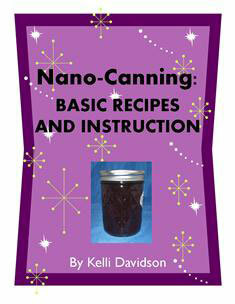 can in one batch of pudding. I only suggested you could make a second batch and leave out the peanut butter in the second batch. Thanks – and sorry for the confusion! !